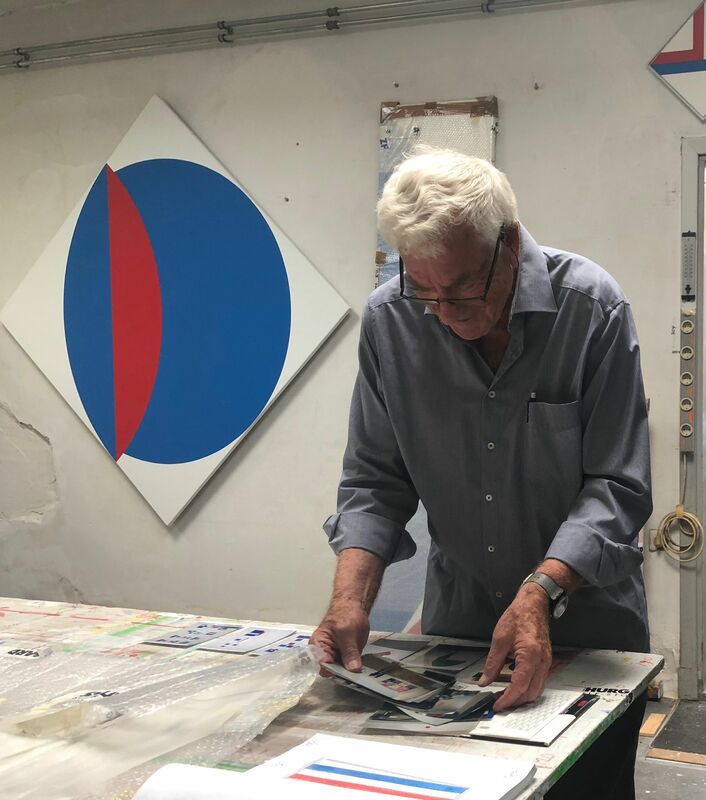 Bob Bonies is one of the most important Dutch representatives of the second generation of geometric abstracts. A form within abstract art in which closed geometric forms are used. Bonies, like some of his colleagues, used a systematic approach. As a result, emotion and the artist's hand were excluded from the work. "Maximum image presence" he called this. According to Bonies, interpretation was impossible with a geometrical form, namely the interpretation of a form. His work is mainly characterized by primary colors and the absence of a personal handwriting. For example, he felt that an artist should not necessarily be the performer and he also made his art accessible to many buyers. He did this by publishing graphics and multiples. In addition, he often made work in series. Already in 1966 his work was shown in a solo exhibition at the Stedelijk Museum Amsterdam. Later there were many museum presentations at home and abroad.